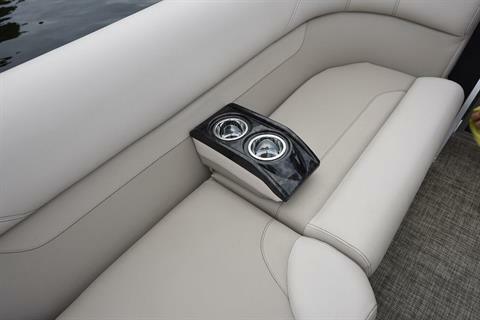 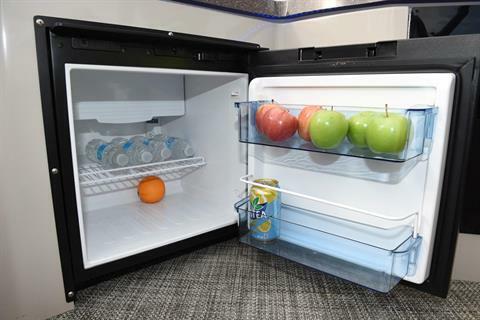 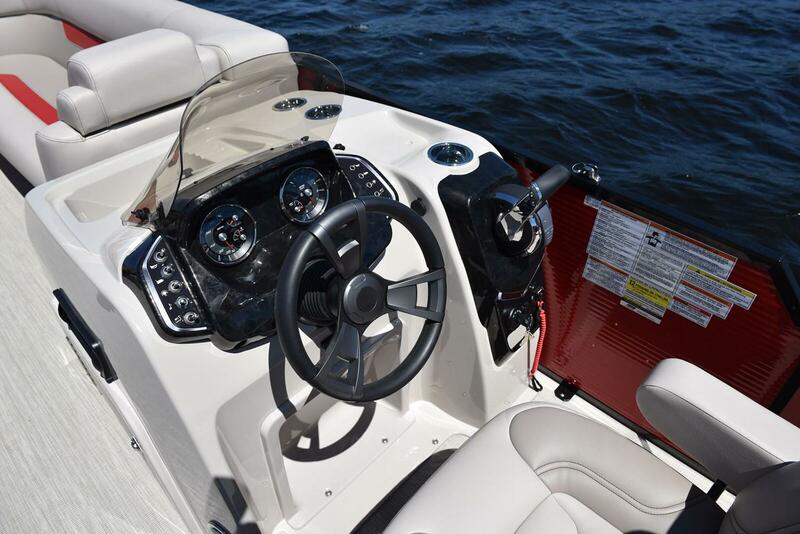 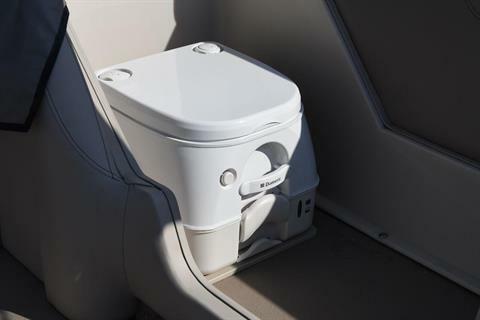 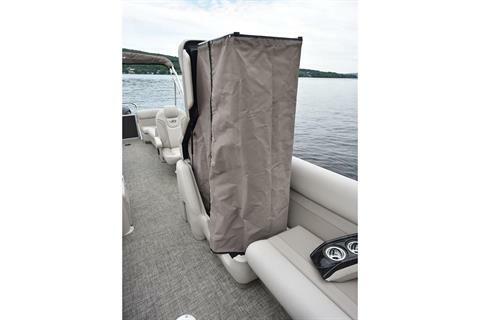 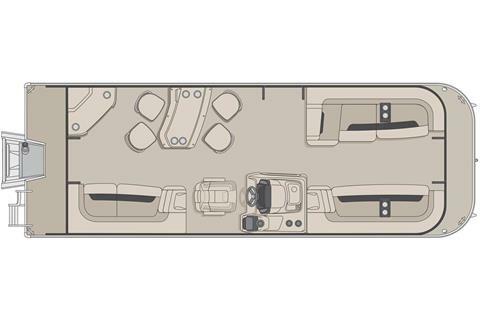 With the capacity to carry up to 12 people, you will love the styling and comfort of this 25’-8’’ Quorum 25 SE. 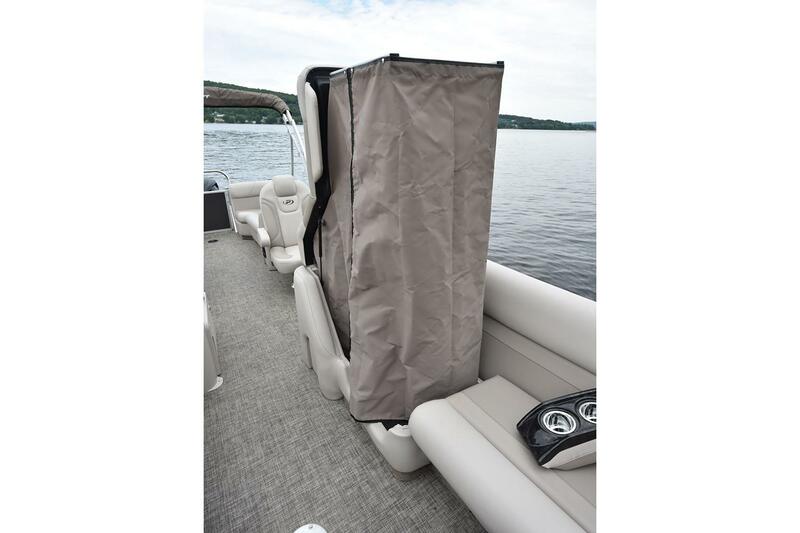 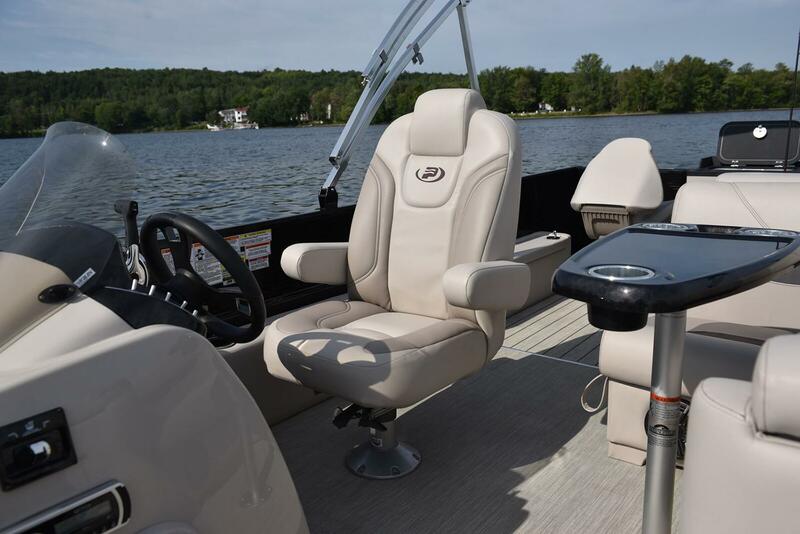 While you can gear it with a 300 HP engine (with the optional Performance Configuration) to enjoy all your water sports, you can also rig this pontoon with a 60 HP engine, perfect for smaller lakes or to simply relax on the water. 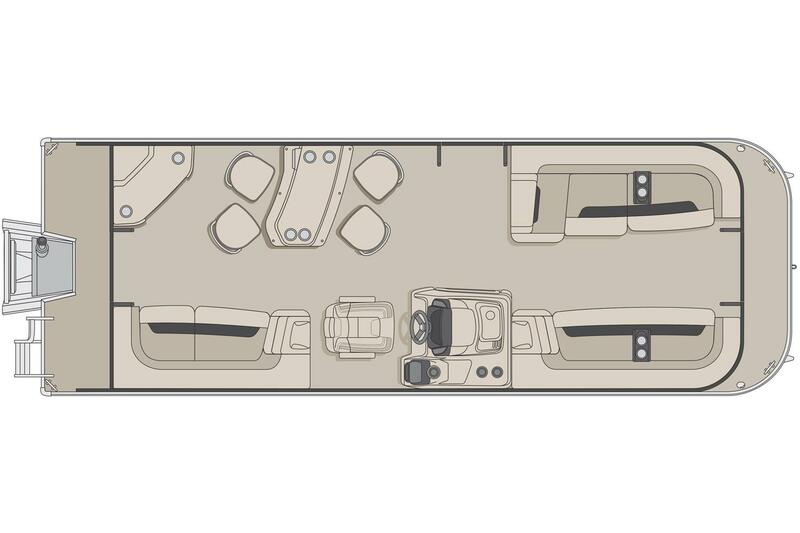 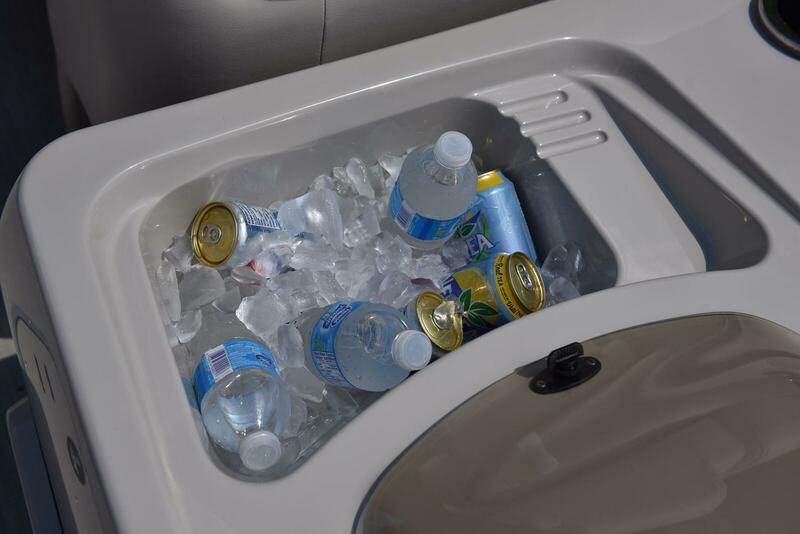 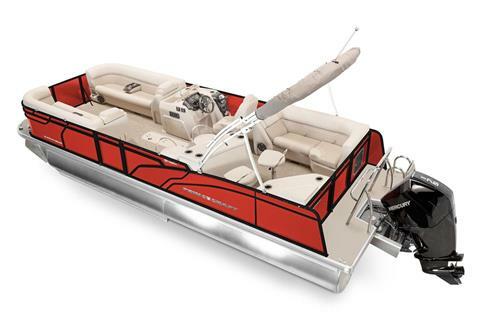 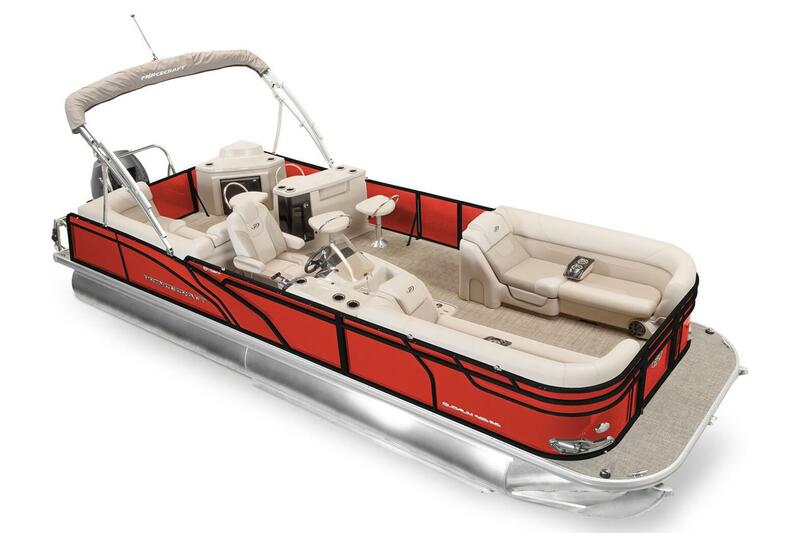 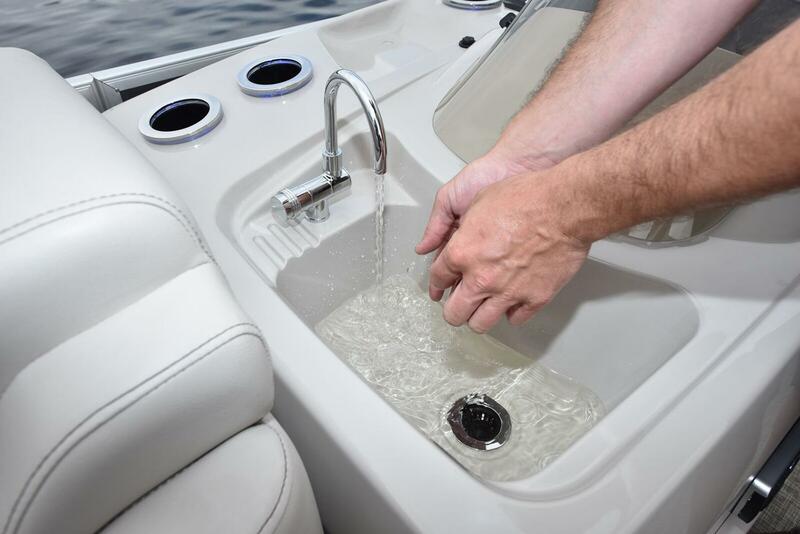 With such features as an aft bar section with corner module, adjustable bar stools, tons of storage, rear swim platform, 3 chaise lounges, and a lot more, you will most definitely not find anything comparable.